If you are reading this chances are you may be feeling scared of stretch fabrics, or better even terrified to learn to sew knits! Am I right?! Let's face it... Sewing knits can be a daunting prospect for many who have never ventured into the world of stretch fabrics before...So many scary stories out there right? Sewing machine eating up the fabric, seams turning out all wavey and wonky, necklines stretching and not sitting properly, these are just a few of the "horror sewing with knits stories" you may have heard. True or not?? Well, fear not my dear sewists. I am here to tell you that these stories only happened to people who weren't doing it right because they didn't know how to! That simple! Take it from me, I have been sewing knits for over 20 years now and I love them so much that I decided that the first sewing pattern I would be releasing for sale would be a knit one "The Delia Top" named after my beautiful grandmother :). 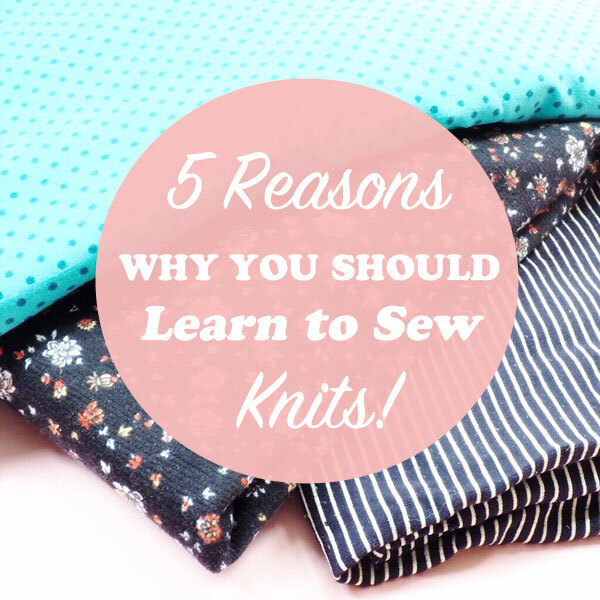 5 REASONS WHY YOU SHOULD LEARN TO SEW KNITS! Well, let me explain that a bit more... As you may already know, sewing with wovens (non stretchy fabrics) can present a lot of fitting issues that need to be addressed and fixed, causing us a headache more often than not! When sewing with knits on the other hand, a lot of common fitting issues are eliminated by the fact that the fabric stretches and molds to your shape a lot better. Many smaller fitting issues that would otherwise show on woven garments, just magically disappear on knit garments. I think that should be enough to have convinced you now. RIGHT!? Oh yes they are! Why? Because most of the times there are no darts or fastenings in knit garments AND the raw edges don’t fray so you can leave seam allowances unfinished and even omit the hemming, which can sometime make for a nice design feature. WOW! That’s quite a lot of time saved already! Wahooo! Knit garments are super comfy to wear and always bang on trend! Yes that’s right! Think pjs, t-shirts, drapey wrap or bodicon dresses and classsic breton tops. The list goes on! No matter the trends, knit garments will always be in. From thicker more stable knits such as ponte roma, double knits and sweater knits, to medium to lightweight ones such as cotton spandex, cotton, viscose or wool jerseys, or more slippery ones such as acetate lycra. Stripey, plain coloured, floral, ribbed, textured you name it. There is a knit fabric for every taste! Yes that’ right! You don’t need an overlocker (serger) to sew knits. A good old regular sewing machine will do the job just fine as long as you use a ballpoint or stretch needle, set your machine to a narrow zigzag or stretch stitch and if sewing with more stable knits reduce the presser foot’s pressure a little if your machine allows you to (no biggie if it doesn’t!) Using a twin stretch needle to finish necklines and hems will give you a lovely professional look too. Sounds easy enough? It is! As long as you have sewn some basic garments or accessories in woven fabrics before, are confident on the sewing machine and start with a stable knit before moving onto thinner, more slippery and trickier types such as viscose, lycra and the likes, you’ll be away. I promise! AND if you are still not sure you'd like to give them a go on your own, we have the perfect course for you! 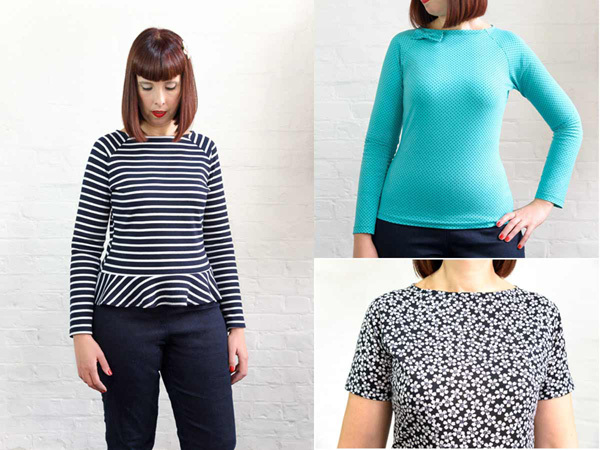 So, are you feeling inspired to learn to sew knits yet? Have you sewn knits before? What’s your experience? Do leave a comment below. We’d love to know!